Food waste generators, including the consumer, foodservice operators and food processors, are energized to shift their valuable by-product from the landfill to alternative destinations. Yet in many locales a state-permitted destination, whether composting, anaerobic digestion (A.D.) or other technology, does not exist or is not within economic distance. When there is no permitted landfill alternative, on-site food waste digesters are appealing, especially with the wide range of systems offered in the market. 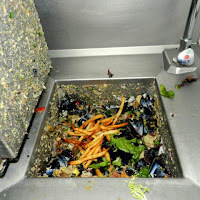 In general, digesters use enzymes or other technologies to convert the food waste at an accelerated rate into either an effluent or a soil amendment. Proper disposal of the system end product is essential for integrity to prevail throughout the process. For Will Harris of White Oak Pastures, an on-farm digester is a strong contributing factor to zero waste achievement at his grass-fed beef ranch. In the U.S. WOP is one of two cattle ranches with an on-farm beef abattoir and the only one with poultry and beef abattoirs. The WOP digester end product is effluent, which Will uses to irrigate his fields. The ZWZ Blog post, Consumer Demand: A Powerful Voice to Effect Change, gives an overview of the White Oak Pastures farm tour. For those in urban settings, the effluent generally flows into the local sewer system. It is important to monitor the effluent composition to ensure unintended consequences do not occur in the sewer system and the downstream waterways. Elemental Impact Partner Global Enviro's on-site technology produces a quality soil amendment that may be direct-applied to soil or sent to a composting operation. The Global Enviro system comes in various sizes designed to service operations ranging from single-standing restaurants to large event venues. In the New York City area, Global Enviro has three successfully installed systems in operation: The Shops @ Riverside, The Hotel Intercontinental and Les Halles. In early November Ei Partners met in NYC for a series of partner tours, including Global Enviro's operations. Scheduled in the aftermath of Hurricane Sandy, the touring group was small and only the Les Halles system was available for a visit. It was inspiring to witness how the system works in a single-standing operation. For details, see the tour pictorial recap in the Ei FB album, 11-05-12 Global Enviro System Tour. The Global Enviro NJ Video is an overview of operations at The Shops @ Riverside. In Norway, the Global Enviro system was installed several years ago at the Oslo Opera House - the Oslo video shows how the system works in a large, multi-kitchen facility. In NYC the Global Enviro end product is collected by Brooklyn Grange, who operates two urban roof-top farms. In the spring, Brooklyn Grange will report to Global Enviro on how the soil amendment worked on the rooftop farms. Until recently, most A.D. systems in the market place were configured for a municipality or possibly a generator with tremendous food waste output and high electricity usage. Biosolid A.D. systems are common in city water treatment facilities and communities are starting to explore the option of adding food waste to the system's recipe mix. While touring an on-farm A.D. facility this fall, Organics Solutions Management introduced the Ei Partners to their PAD - Portable Organic Digester - that fits on a waste compactor pad. The ZWA Blog post, Perpetual Life Cycle Systems - Simplicity is Key, gives a brief system synopsis. For a pictorial recap of the impressive tour, visit the Ei FB album, 09-25-12 OSM On-Farm A.D. Tour. Note OSM added comments to many of the pictures with volume and technical details. According to the U.S. Composting Council, there are less than 300 permitted compost facilities in the nation that accept food waste. In regions like the Northeast where tipping fees are in the $100 per ton plus range, the investment required to install food waste systems like Global Enviro's make good business sense, especially for higher volume facilities. 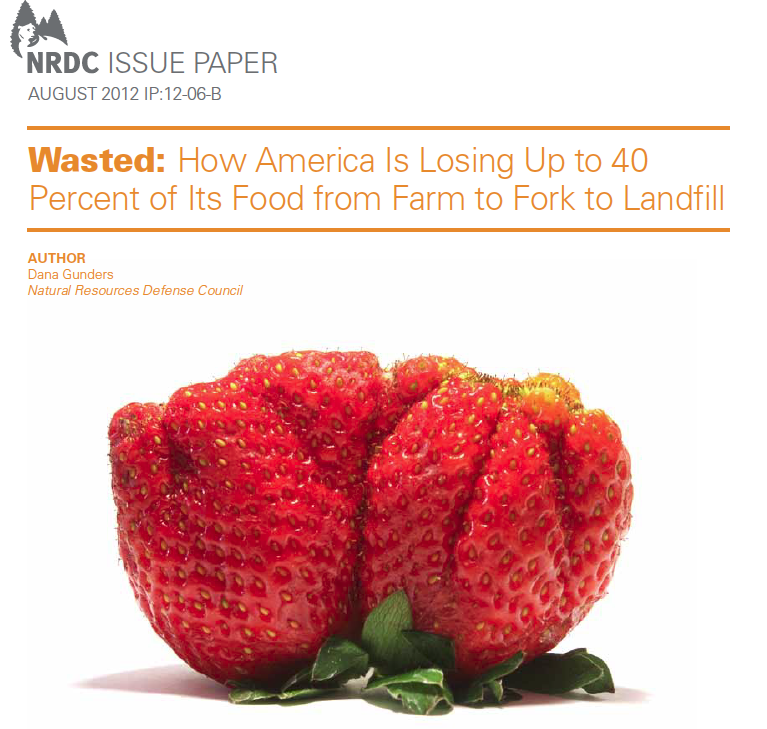 Advancing Technology continues to expand horizons on the options available for food waste, . As the tides turn, food waste may soon be supported by a commodity market where generators are PAID for the material. A wild concept? Cooking oil from foodservice fryers took a similar journey a few years back - time will reveal HOW food waste becomes too valuable for a landfill destination. For the second consecutive December the non-profits and trade associations representing the entire food and beverage value chain gathered in Washington D.C. for a day of camaraderie, sharing and strategizing . Elemental Impact and Global Green co-hosted the meeting held on 12-12-12, a powerful, important day! In the morning, each organization presented on their mission, stakeholders, 2012 activities and finished with planned 2013 projects. The meeting agenda, PPT presentations and attendee list are available for download on the Ei Meetings & Events page. With the group well-acquainted, the afternoon consisted of a strategy session on the challenges and barriers for sustainable uses and disposal of food and beverage packaging. Within the vibrant discussion several common topics prevailed: Best Practices, Policies & Regulations and Cyberspace Network (some prefer the term social media) communication tools. reliable metrics are important for baselines and tracking success - current national publicized waste stats may be 40% plus understated. The question: What is holding us back? led to the policy & regulations discussion. Two answers for differences in U.S. behavior versus Japan & Europe were: 1> Japan has $1,000 per ton tipping fees and 2> parts of Europe has landfill bands. The common thread through the policy discussion centered on incentive-based regulations and consumer responsibility. Extended Product Responsibility coupled with Extended Consumer Responsibility - the entire value & product usage chain holds responsibility for spent products', along with by-products generated during production & usage, destination. The group committed to creating a communication network among the participants. Each organization will share information in their respective networks as appropriate for their missions and stakeholders. In the closing remarks, the group decided an annual meeting was important with direct communication throughout the year. In the first quarter, many of the participants will attend the January USCC Annual Conference, The Magic of Compost, and the Charlotte Ei Partner Tours in early March. With synergies ignited, informal rendezvous at various meetings and conferences will keep the energy strong until the December, 2013 annual gathering. An Ei action point is to complete Front-of-the House Recycling Center Best Practices for publication. Tom Lembo with CleanRiver chairs the Sustainable Food Court Initiative committee charged with documenting the FOH Best Practices. For a pictorial recap of the meeting, visit the Ei FB album, BUILDING THE PATH: Exploring the Value Chain of F&B Packaging. While on the Ei FB page, please like it! As with most Ei events, the formal meeting ended with a casual wine reception, an excellent vehicle to relax and ground the powerful energy from the intense, important day. New and long-time friends toasted to the successful meeting. Stay tuned for updates throughout the year! In her November Martha Stewart Whole Living feature article Spoil Alert, Elizabeth Royte's final paragraph includes the statement "For Elmore, who says she eats out seven nights a week to avoid food loss at home, this means finishing everything on her plate or asking, unashamedly, for a doggie bag." Yikes, although true and I am certain a paraphrased quote, the statement hit a strong chord within me, propelling a new action plan. The article is a recap of Atlanta's wasted food heroes intertwined with stinging facts about our nation's food waste and wasted food scenario. In June Elizabeth came to Atlanta for a whirlwind visit to interview the featured heroes. The ZWA Blog post, Atlanta Wasted Food Heroes in National Spotlight, gives an article overview plus interesting anecdotes not in the article copy. The waste inherent in our nation's food systems is astounding and infiltrates the entire production | consumption systems in place. American families throw out approximately 25% of the food and beverages they buy. The cost estimate for the average family of four is $1,365 to $2,275 annually. Consumer food waste also has serious implications for wasted energy. Cheap, available food has created behaviors that do not place high value on utilizing what is purchased. As a result, wasted food is simply not on the radar of many Americans, even those who consider themselves environment or cost-conscious. Within the 40% waste statistic are two main categories: Food Waste - inedible by-products inherent in the food production process (e.g. 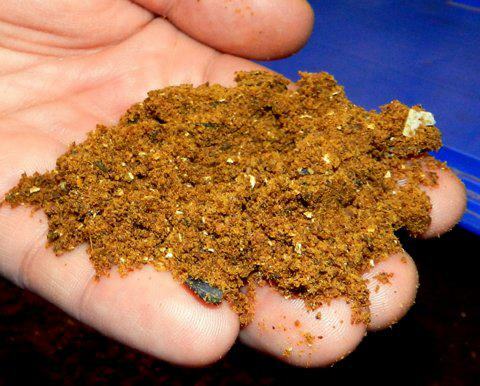 avocado skin and seed) and Wasted Food - edible food that is not consumed before disposal (e.g. avocado half left in the refrigerator until no longer edible). Under Elemental Impact's stewardship, the Zero Waste Zones program participation criteria required unserved food meeting the Good Samaritan Food Donation Law be donated (wasted food prevention) and kitchen scraps and plate scrapings (food waste) be collected for off-site composting or other state-permitted use. Note the National Restaurant Association's ZWZ program purchase this fall is documented in the ZWA Blog post, Ei: An Established Program Creator. For those who follow the ZWA Blog, the vast majority of the posts are written in third person. When the topic is dear to my heart and personal in nature I write in first-person. I am personally and professionally committed to educating individual and corporate consumers on the stupendous food waste | wasted food scenario, along with developing easy-to-implement waste reduction practices. In the corporate arena, sound business principles are at the foundation of Ei's work. Yet this post breaks the ZWA Blog pattern in another style: the focal point is the personal consumer, versus corporate consumer. While reading about my dining habits in Spoil Alert, I realized my dining out behavior was avoidance in nature rather than proactive in waste reduction. Committed to walking my talk, it was time for me to start cooking the majority of meals with a goal of consuming or gifting 100% of food purchased. The first action step was to get my kitchen back into operating order after literally three years of limited to no use. The second action step was to contract with Compost Wheels for weekly kitchen scrap collection for composting. An accomplished cook after owning a catering business and two restaurants for 15 years, I understand menu planning and careful purchasing are key to preparing one-person meals with minimal waste generation. If a quart of chicken stock is opened to make rice, then I commit myself to using the remaining stock in sauces or soups prior to its spoil threshold. Although fun, impulse purchasing often results in waste as the items may not easily complement planned menus. Many culinary publications offer assistance on how to use ingredients in a variety of recipes. For example, Fine Cooking includes a monthly Big Buy Cooking feature with tips and ideas on how to make tasty meals and treats from bulk purchases at wholesale clubs, such as Costco. Google searches reveal a myriad of resources on how to use left over meals and ingredients. From the ZWZ program development, I know focus on waste results in waste reduction. Thus, I inaugurated My Wasted Food Diary to document weekly wasted food along with a description of WHY the food was not consumed. In my first entry excess rice was thrown out as I failed to plan for two consecutive evening business dinners. Additionally, I list pending challenges for food nearing the wasted marker. YEA - friends responded with simple, effective suggestions for the food. Thus, the remaining thyme is tied and drying for later use. Validating Dana's comment "wasted food is simply not on the radar screen of many Americans" two astute friends suggested I purchase a worm bin to solve my dilemma. It shocked me to realize recycling, versus my REDUCTION | ELIMINATION focus, was at the forefront of their well-intended comments. Hmmmm..... wasted food awareness seems to remain in its infancy. My intentions are to post weekly on My Wasted Food Diary to document my journey, learn from reader comments and encourage the community to embrace wasted food best practices. Successes and stumbles will infiltrate the lighthearted diary along with encouragement to join the journey. I invite you to join The Eliminate Wasted Food Journey however works best for you. Please share your efforts with friends to learn from and inspire them. No matter the quantity of individual waste reduction, the collective impact is tremendous and imperative to regaining balance in our food systems. Thank you!